For my skin care I always prefer homemade face packs. Main reason is that homemade face packs are prepared from natural ingredients which are available very easily at home. These face packs help to get glowing and fairer skin naturally. Cucumber is one of my favorite beauty ingredients. It is also a major source of silica which acts as an anti-wrinkle component and makes skin look younger. I use cucumber mainly for sunburn. It has excellent mild-bleaching quality. It hydrates and highly soothes my skin and gives a natural glowing skin. Cucumber is great for eyes too. The best parts of these face packs are that they have no side effects for skin. Mainly I use cucumber as toner, dark spots remover, skin pigmentation, under-eye puffiness and dark circles. Today in DIY I’m going to share my three simple Homemade Cucumber face pack for all skin. Obtain a few cucumber juices or create a liquid paste of cucumber. Add some aloe vera gel. Mix it well. Use it on your face for at least 15 minutes and then rinse out it with cool drinking water. This face pack helps to get rid off the dark marks on the skin. As a bonus the aloe vera gel is a great natural moisturizer that will leave your skin smooth and soft. This mask can be used 3-4 times a week. A cucumber toner will only help your skin feel softer, cooler, healthier and relaxed. The cucumber toner recipe is simple and very efficient. You only need cucumber, rose water and some Lemon Drops. Mix all ingredients well and apply on face with the help of cotton ball. For an extra classic beauty fix, you can place two cucumber slices on tired eyelids for 4–5 minutes to reduce any inflammation and swelling around the eyes. After 15-20 minutes then wash you face with Luke warm water. you can use this toner every day. The most common and easy way to removing under eye wrinkle and dark circles is to apply cucumber juice or slice. 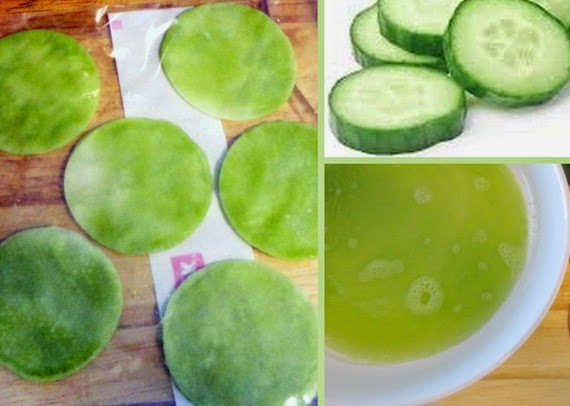 Take a piece of cotton and soak it in Cucumber juice, and place them around eyes. Some time I mix few drops of honey with cucumber juice. Well, honey making it a wonderful addition to the cucumber. 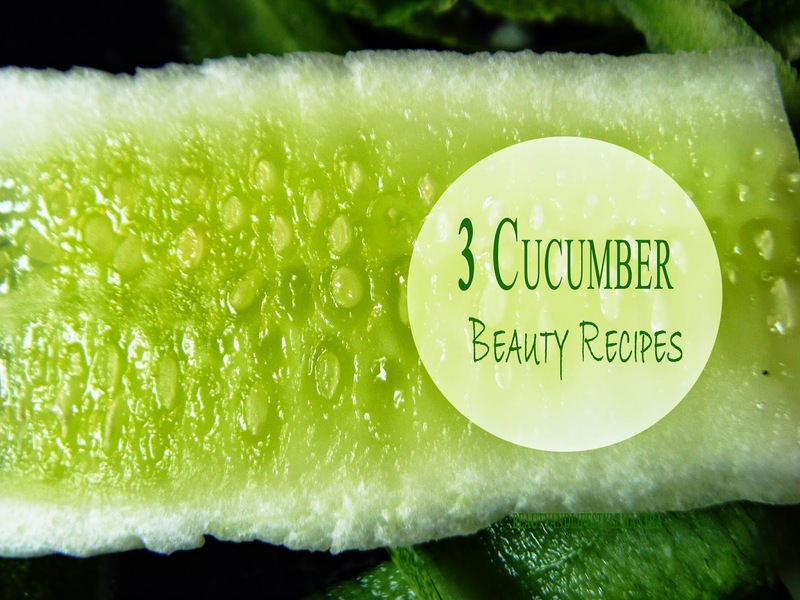 Hope you like my Cucumber Beauty Recipes. Do try it at home and let me know the results.